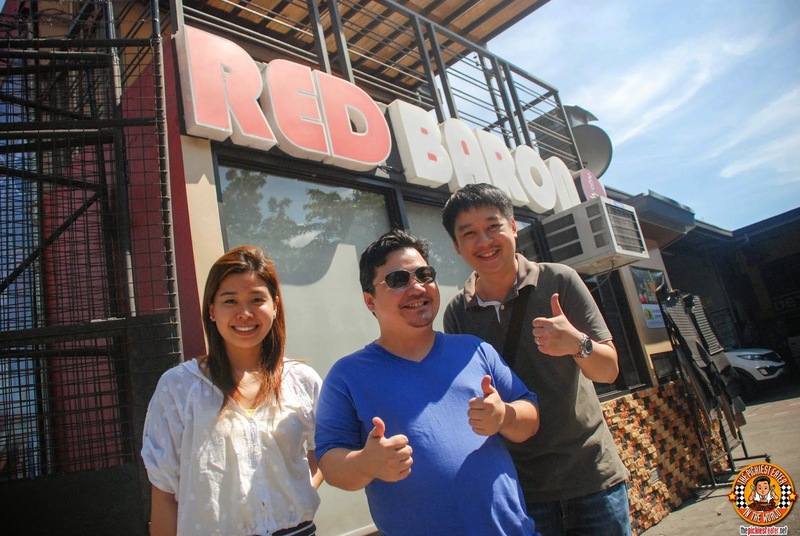 My trip to Red Baron took me to Quezon City. Not exactly the journey of a lifetime, but a place I rarely get to frequent nowadays. Red Baron clearly fits the "Hole In The Wall" bill, as it occupies a small nook beside a car wash along D. Tuazon St., Cor Calamba.. Somewhere in the Banawe area. It makes perfect sense, because you can have your car washed while waiting for your ribs, or have some ribs while waiting for your car to be washed. Given that it's the truest sense of "Hole In The Wall", The dining area of Red Baron Ribs and Steaks is quite limited, which in a way adds to the charm of the place. There really is something about Ice Scramble (P138) that renders us Pinoys powerless against its charms. The concept is so simple, and that is probably what makes it so endearing to us. Red Baron's Ice Scramble made me feel like a kid again (despite the fact I had never eaten it when I was a kid). Rina ordered something else, but ended up commandeering this from me (I am also powerless against Rina's Charms. 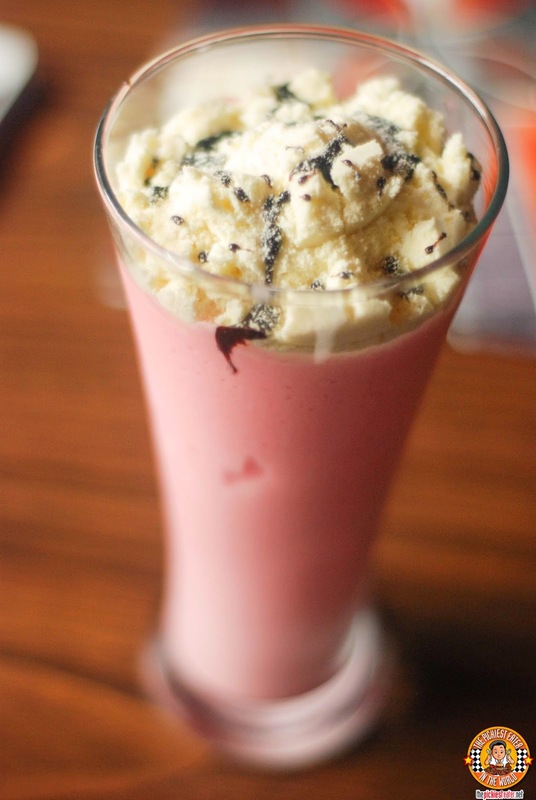 Ice Scramble lang ang peg.). 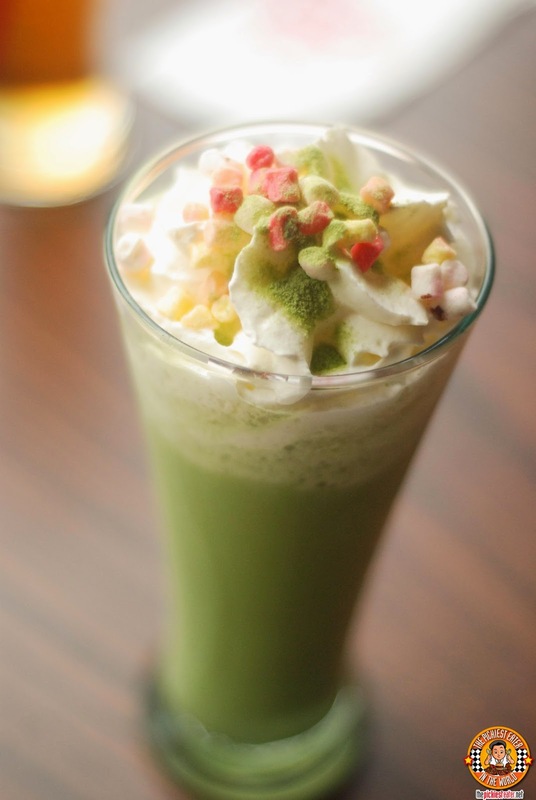 Though the Ice Scramble was the first drink to get her attention, Rina decided to go with the Kitkat Matcha (P138). Though she did enjoy it, pretty marshmallows and all, it was just a tad too sweet for her, making her wish she trusted her gut and ordered the Ice Scramble. 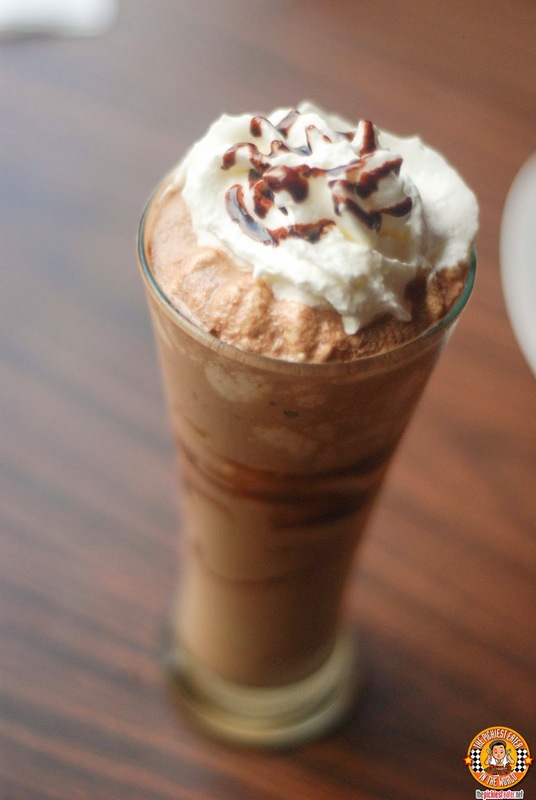 Another drink that one of companions tried was the Nutella (P155) Coffee based drink. 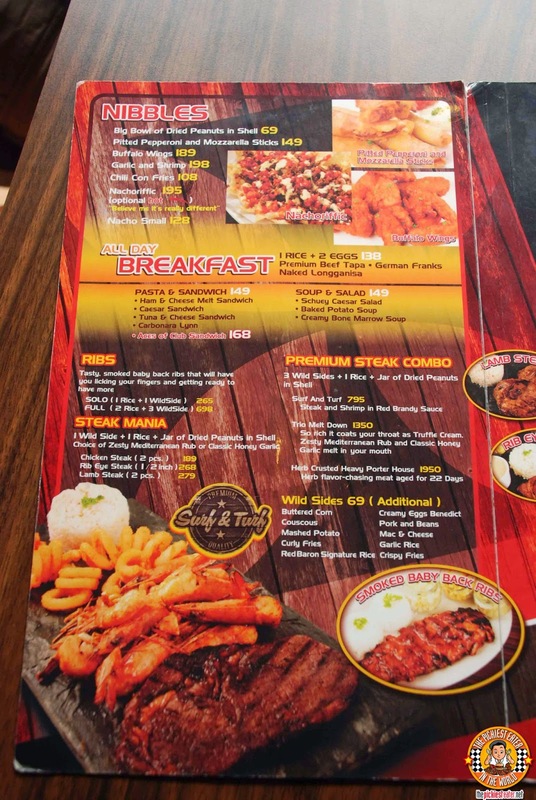 The meal began with the Nachoriffic (P195), which is Red Baron's Nacho Platter. I don't know about you guys, but I really like the flakey kind of Nachos more than the usual Corn Tortillas. The Chips were drizzled in a luscious cheese sauce and a lightly sweet tomato sauce that adds a little zing to the dish. 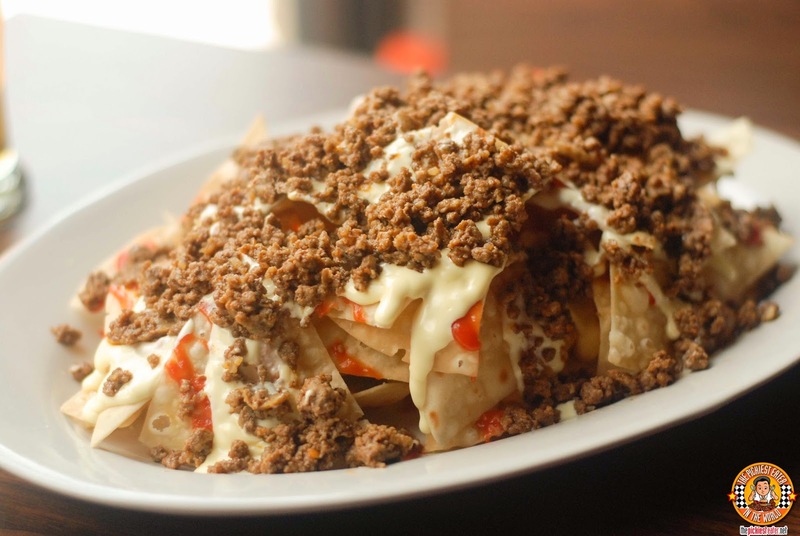 The chips are then topped off with generous helping of ground beef. 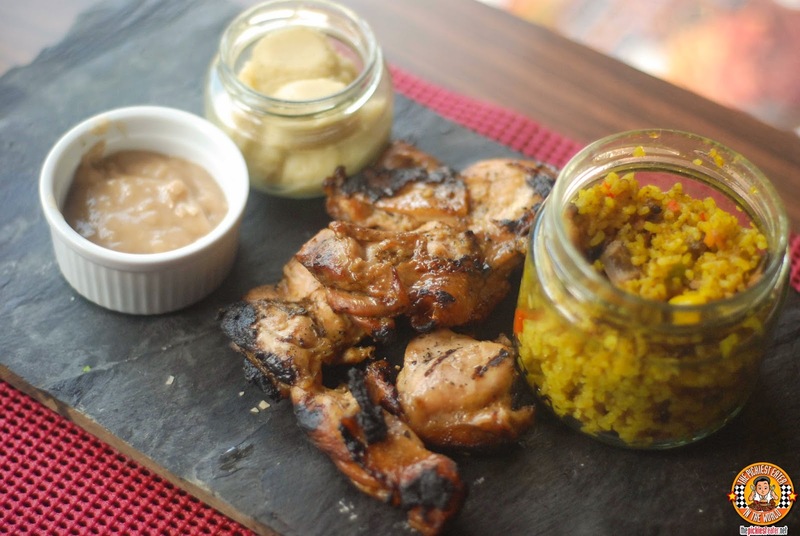 Definitely a great way to start your meal, and if you're a drinker, this is perfect for Pulutan! 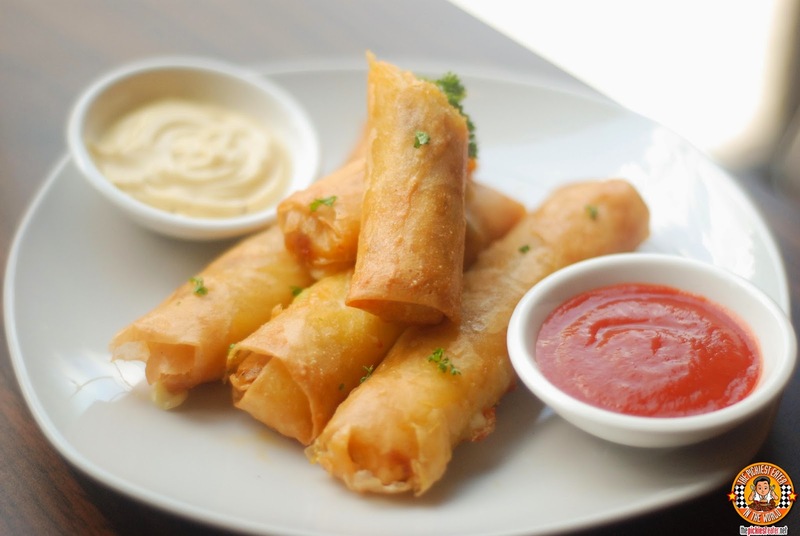 Another appetizer that I really enjoyed was the Pitted Pepperoni and Mozzerella Sticks (P149). This was melted mozzarella, gloriously wrapped in and deep fried, with minced pepperoni added into the mix, creating a nice balance between creamy cheese and the acid of the meat. Definitely better with the mayo dip! 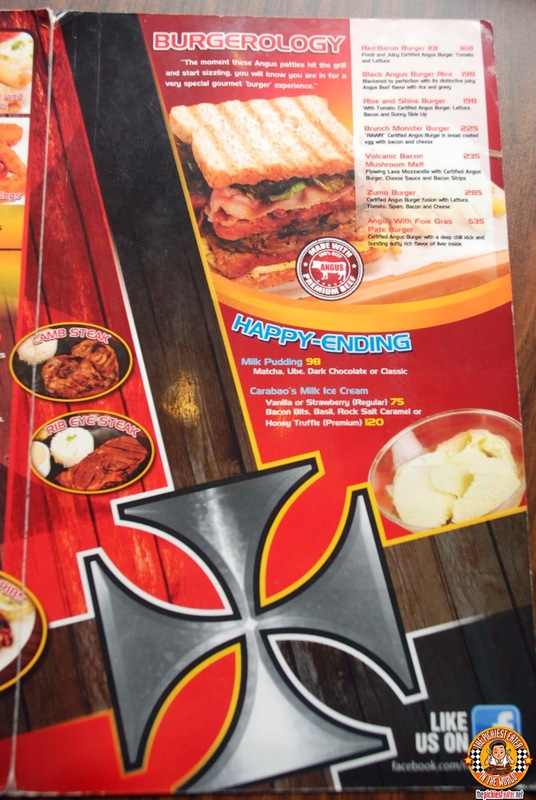 Apart from being delicious, Red Baron's selection of Burgers are really quite creative. 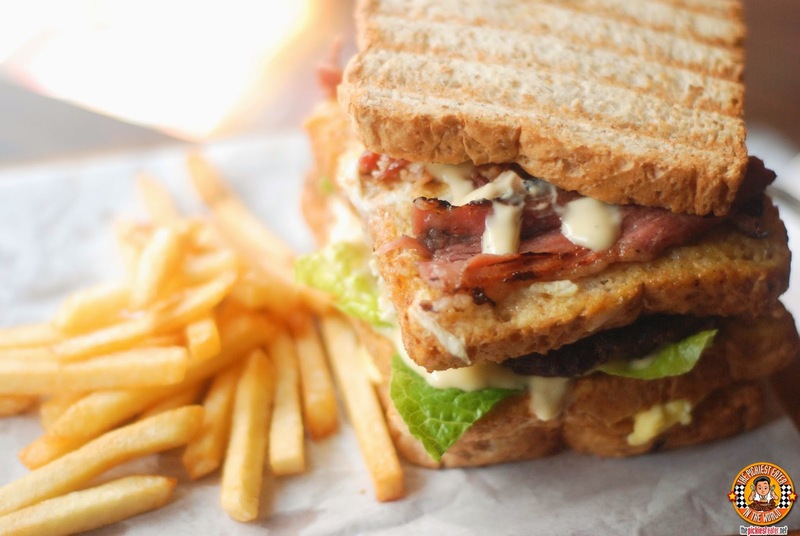 The Volcanic Bacon Mushroom Melt (P235) is made to look just like its namesake. Gooey mozzarella cheese oozes from the top bun as if it were spewing lava, then topped off with Curly fries for added effect. The burger itself consists of a Certified Angus Beef patty, then slathered with cheese sauce and filled with bacon strips. 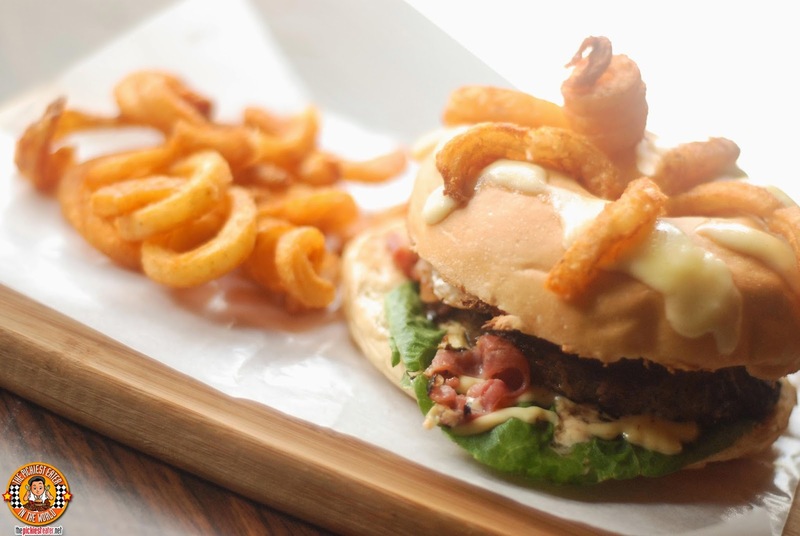 You can have your breakfast in the form of a Burger when you order Red Baron's Brunch Monster Burger (P225). 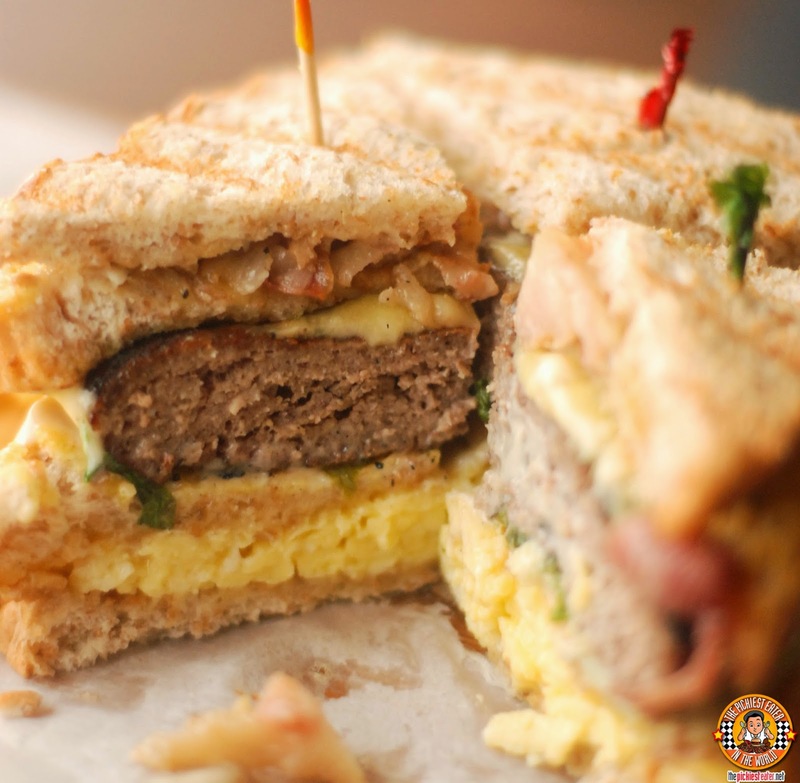 Made with slices of whole wheat bread instead of burger buns, this is triple decker Burger-slash-sandwich is has scrambled egg in the first layer, a thick Cheese topped Certified Angus Beef Patty in the center, and bacon strips on the top layer! 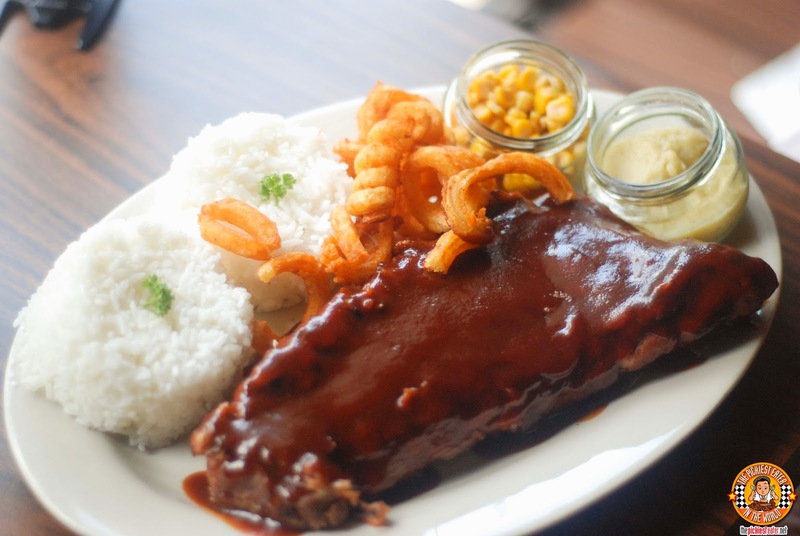 The Baby Back Ribs (Solo 1 rice + 1 WildSide P265 / Full 2 rice + 3 WildSide P698 ) is one of Red Baron's Signature dishes. The Rib was very tender and was bathed in a thick, smokey-sweet sauce. Though the full slab is a bit pricey, If you're a big eater, or sharing with a companion, you might want to give it a try, although I found the Solo size to be quite filling in itself. Red Baron's Steaks comes with one Wild Side + one rice + jar of dried peanuts in shell. You are also given a choice of Zesty Mediterranean rub or classic honey garlic. 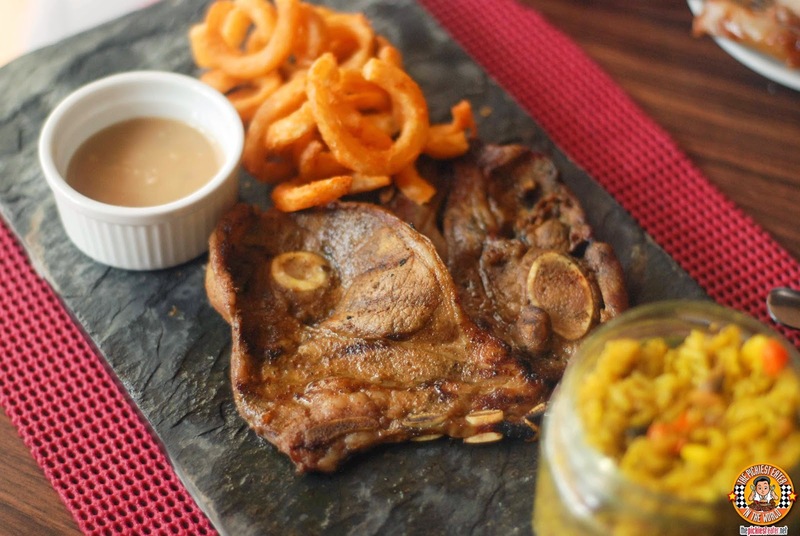 I love lamb, whcih is why I had my eye on the Lamb Steak (P279 for 2 pcs) from the moment I saw it on the menu. Visually, it was a little thin, but what it lacked in girth, was made up for in the boldness of its flavor. A great bang for your buck dish Chicken Steak (2 pcs, P189). The Cuts of juicy chicken were grilled nicely, with the edges peppered with bits of char marks. The Surf n Turf (P795) is part of the menu's Premium Steak Combo section, which comes with Three Wild Sides + 1 rice + jar of dried peanuts. 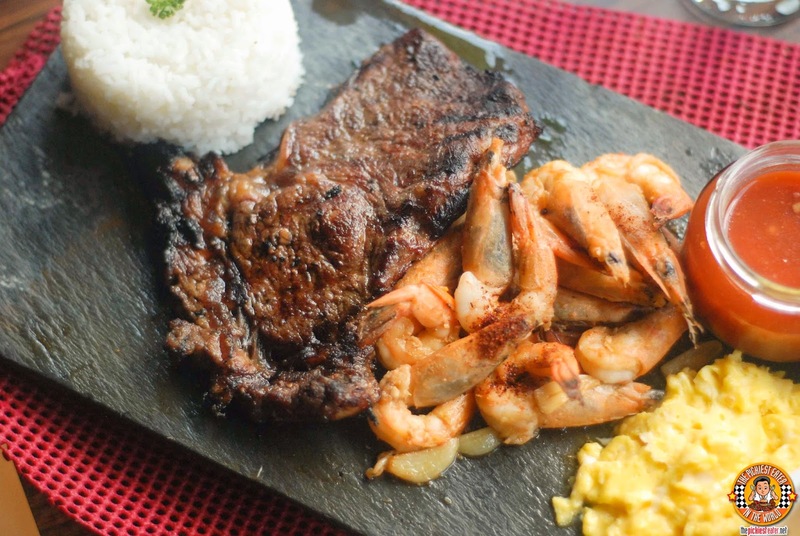 The Surf n Turf includes a 1/2 inch Ribeye Steak,and shrimp cooked in a red Brandy Sauce. 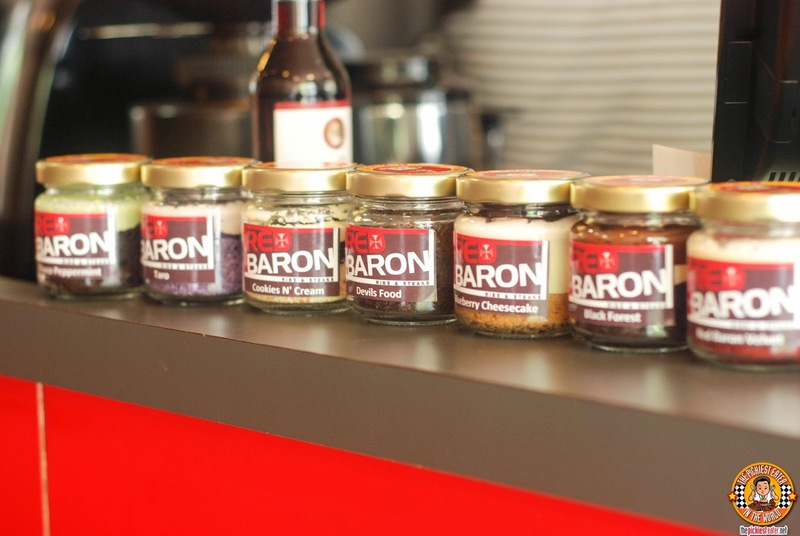 When we walked into Red Baron, I noticed some jars laid out on the counter. As it turned out, it was their lineup of desserts! 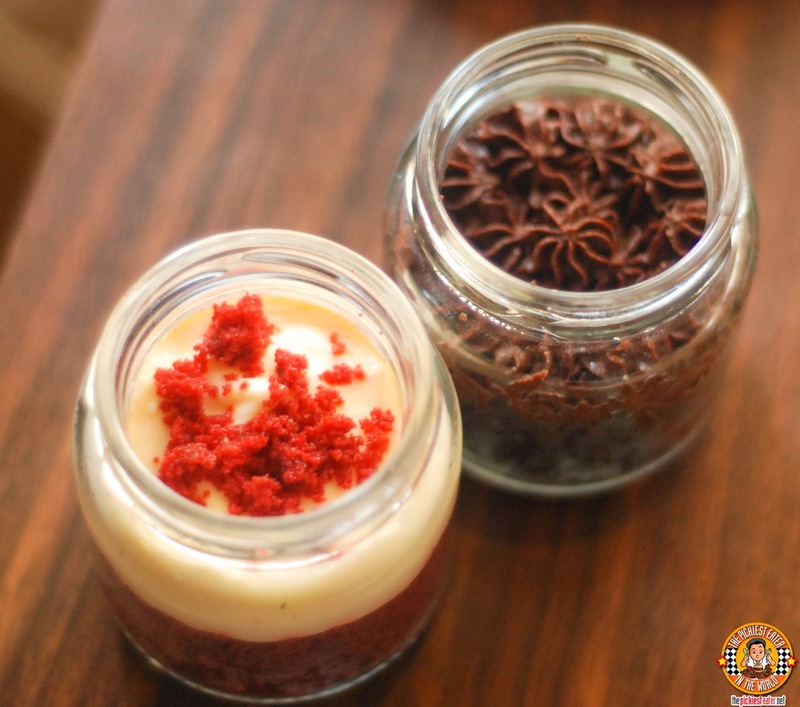 The Cakes in a jar are by DC Bakeology, and we were too stuffed to taste them all, but I managed to find some wiggle room in my belly to try two. The Red Velvet cake had a moist cake base, and an abundant amount of cream cheese topping, making me wish this was made in a bigger jar. Rina loved the Devil's Food Cake, which is a dark chocolate cake topped with a rich chocolate frosting. The other cakes include flavors such as Caramel Custard Cake, Black Forest, Oreo Cheesecake, and more! 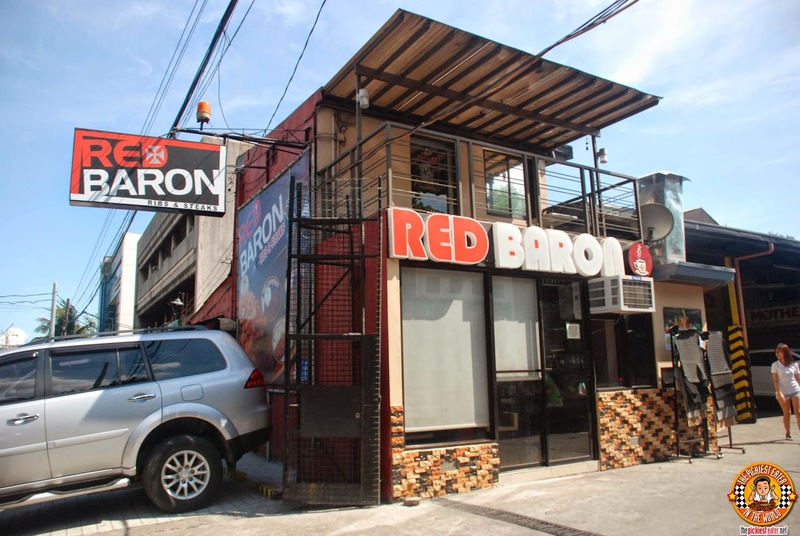 With its creative lineup of dishes at a very competitive price, I really believe that Red Baron has the potential to follow in the footsteps of small restaurants that patiently managed to expand to other locations. I wouldn't be surprised to see another branch nearer to me in a year or so! 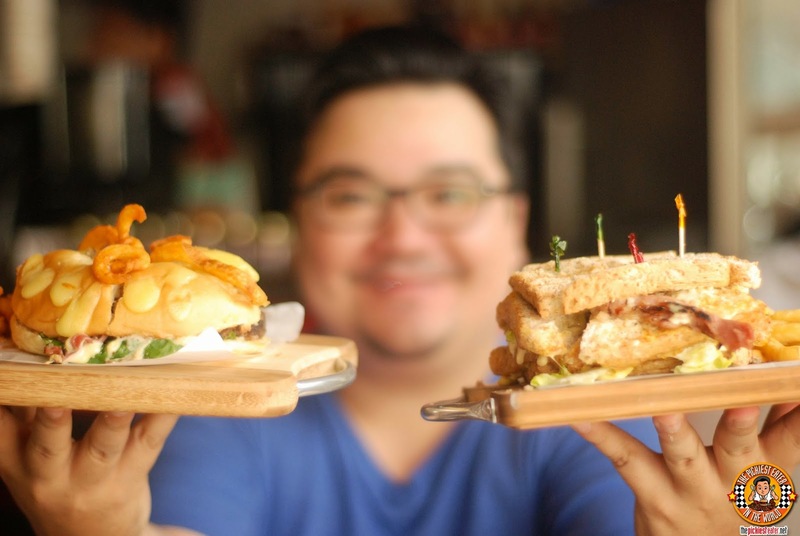 Till then, I won't mind heading down to QC for some of their Burgers, Ribs and Steaks! Many thanks to our most gracious hosts for the day, the lovely Joyce, Melvin and Reupert, for the kind hospitality. See you all again very soon! Congratulations! Check out the video I made of Red Baron Ribs and Steaks! Share your link here when you've visited them, Berylle! Hi Rich! 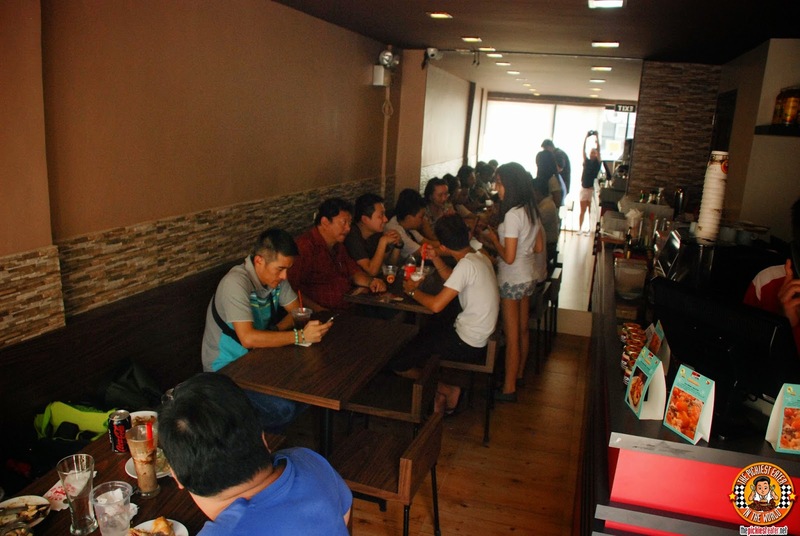 How did the burgers compare to burger joints like army navy, burger ave, etc. Their price range is almost at par with the other brands. 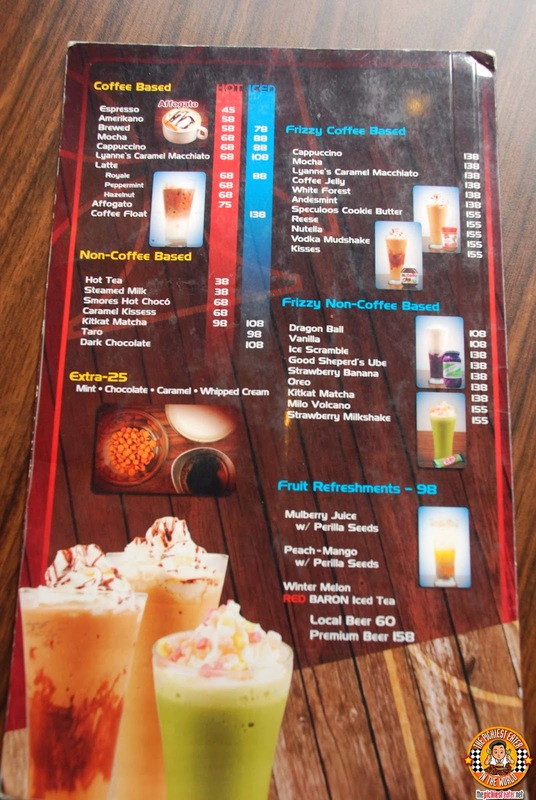 Just want to know if the taste, quality and value is anywhere the other establishments. Thanks! Honestly I'm not a fan of army navy's burgers.. I like their chicken, fries, and onion rings though.. My fave there is the breakfast burrito hehe.. The burgers aren't as huge, but the creativity that goes into it is admirable.. And flavor is delicious as well! Hope you enjoy as much as we did, Kleah!